Which is why I like to serve it with bacon and brie cheese! You can never go wrong with bacon and brie cheese, can you? I’ve decided the trick to eating something really healthy is to mix it with something really unhealthy. Something like bacon grease. Try it for yourself! I love the peppery bite of the kale with the creamy brie cheese and the fact that this dish comes together in just minutes, making it perfect for quick weeknight meals. Try this soon, guys! I think you’re going to love it as much as I do. 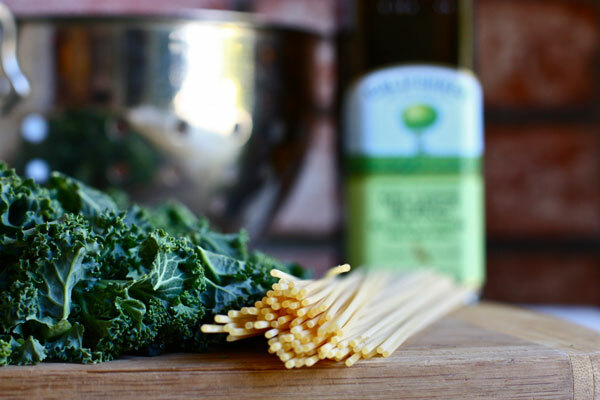 Food blogger Jenna Weber shares her recipe for making kale taste less bitter in this post on the Fresh Tastes blog. 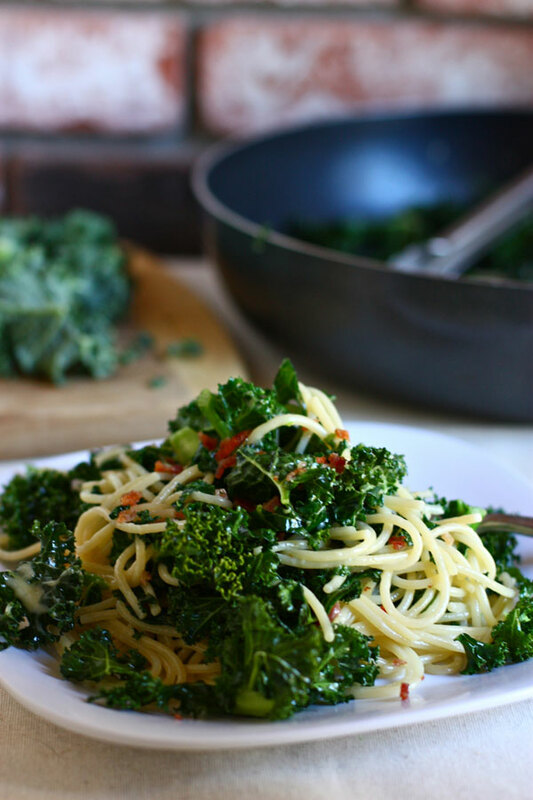 Kale is in season at the beginning of the calendar year, so get cooking! Cook the pasta in boiling salted water. Drain and set aside. In a large pan, fry the bacon until crisp. Remove the bacon and crumble. To the hot bacon grease, add the minced garlic and sauté briefly over medium heat until fragrant. Then, add the kale and sauté until it begins to wilt, about five minutes. 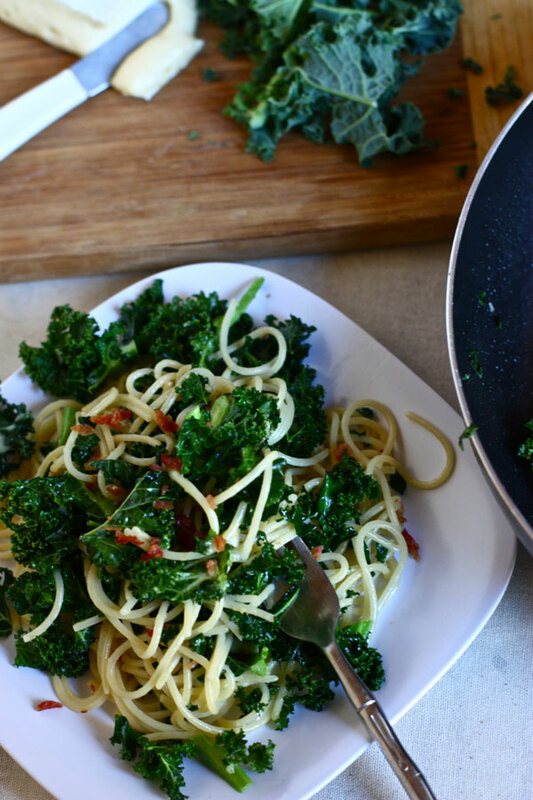 Add the hot, cooked pasta to the kale along with the brie cheese and bacon crumbles. 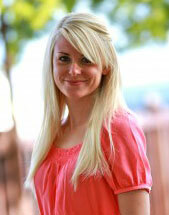 Stir together so that the cheese melts and forms a creamy coating over each strand of spaghetti. Season with salt and pepper to taste and serve with additional bacon crumbles on top!